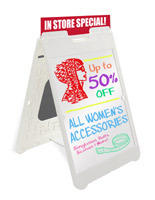 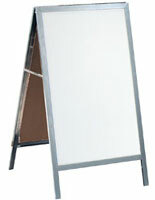 This A Frame markerboard features a dry erase board on either side. 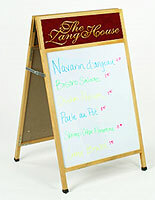 A set of four markers with eraser is included with purchase. 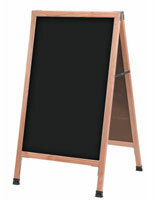 The a frame markerboard is framed with solid red oak for a more traditional look. 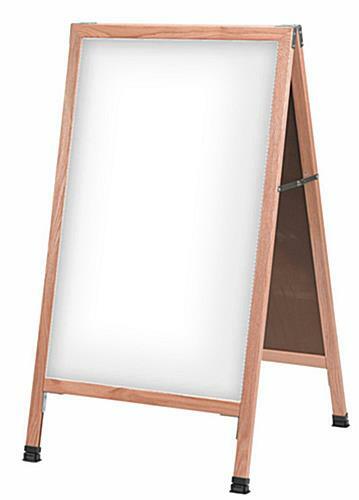 The sidewalk sign folds flat for storing when not in use. 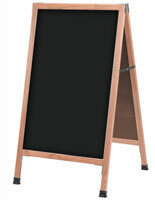 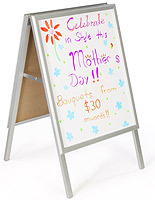 Buy our a frame markerboard for all your outdoor marketing requirements.